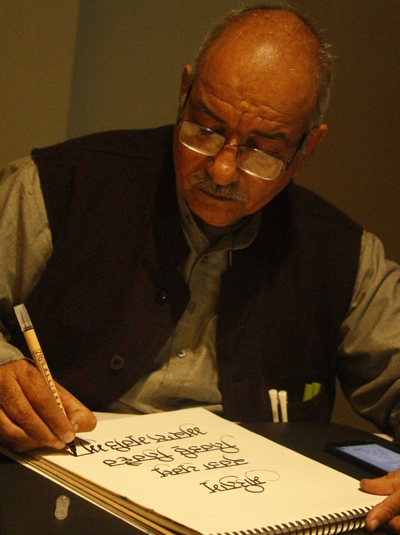 Harish Chander is one of the most gifted Calligrapher and a renowned Commercial Artist. Started his work as a painter in 1970’s, his quest and love for letters led him into Calligraphy. His inquiry into the letters and belief that sharing of art is extremely essential for the art to flourish made him break the myth of not sharing the art followed by great artists during ages. 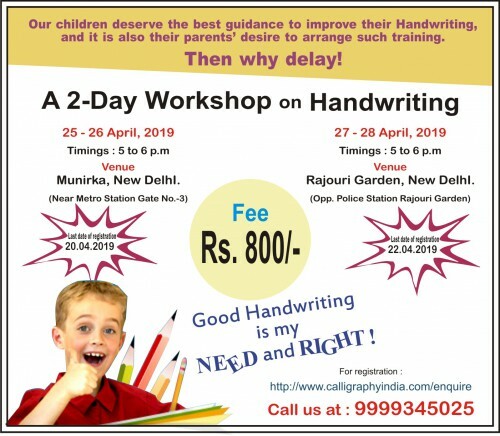 He consulted various Master Calligraphers of India and abroad and designed a Calligraphy Curriculum and was the first Indian to start teaching Calligraphy in a Course format. 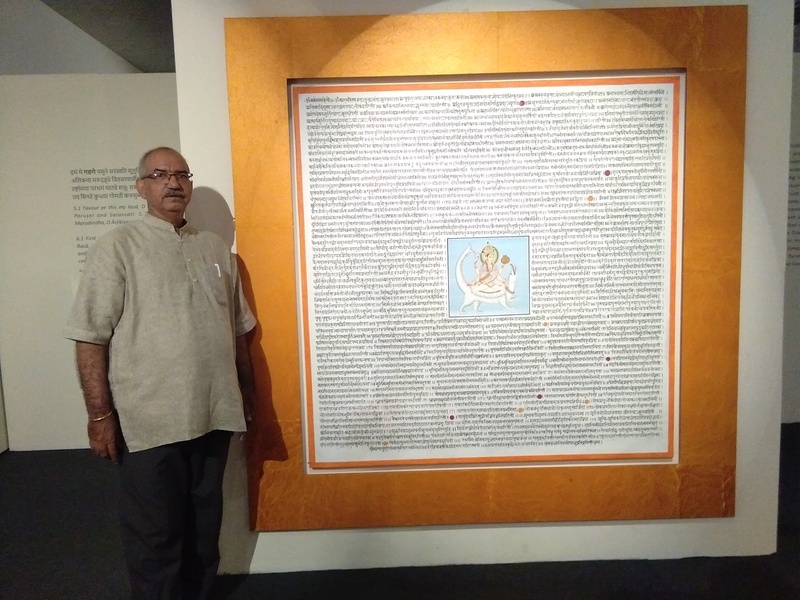 His meeting with Master Calligrapher Dave Wood in 2004 turned an eye opener and he realised how much India is lagging behind in this art in terms of awareness, Skills and resources inspire of having a rich legacy. 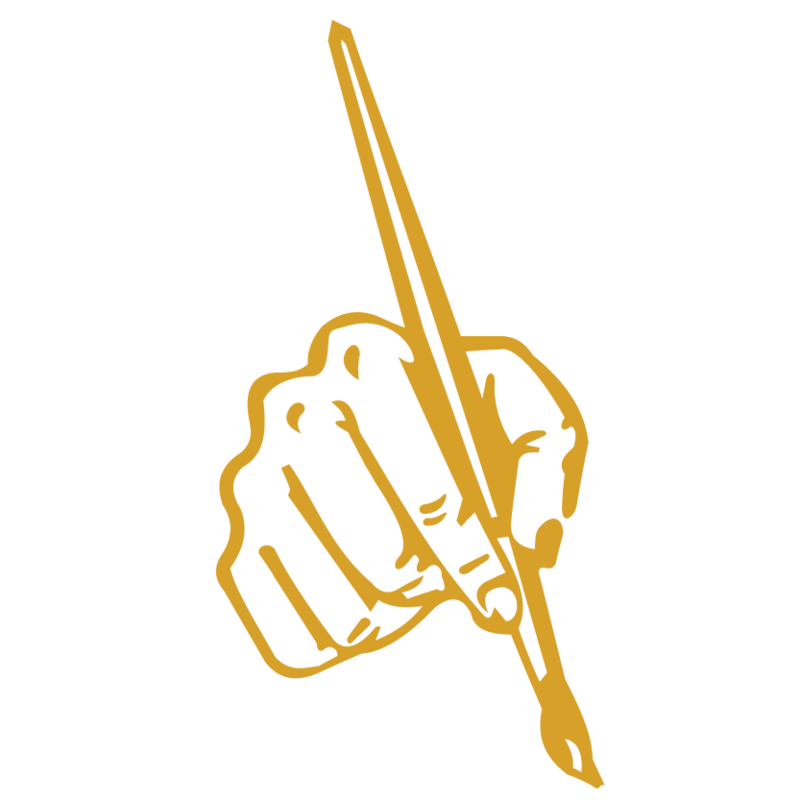 Since then he has been striving hard to promote the art of Calligraphy in all possible ways. He had many clients in the Ministries of Govt of India, Top educational Institutions and Corporates.Some of his recent prestigious projects include Devanagri Calligraphy for Ganga-River of life and eternity project which was housed in the National Museum of India, New Delhi and for Aga Khan Trust for Culture exhibited in India Habitat Center, New Delhi. He drew accolades for successful completion of Challengeable assignments for the BRICS Summit and INDIA- UK Tech Summit (2016). Johnson & Johnson and many more….